I am an Avid Reader of Magazines. Lots and Lots of Magazines. I read Cosmo, In Style, Movieline, Us Weekly, and Newsweek, to name just a few. I even read Martha Stewart's Living. I Read Them All. I like to Read. Recently, one of my Good Friends brought to my attention that I Quote From Magazines Constantly. She complained that whenever I am Shelling Out Advice, I often start out by saying, "I read in Cosmo once..." When someone brings up a Sad Sick Celebrity, I may exclaim, "People Magazine just devoted an Entire Story to Said Sad Sick Celebrity!" When I don't know have anything to do some nights, I will declare, "According to TV Guide, the New Season of 'The Surreal Life' is on at 10pm!" I live Alone, so I am talking to myself on that last one, but gratefully, I Don't Complain. Sometimes, however, my neighbors Bang On The Wall. Apparently, I am Driving My Friends Nuts with my Magazine Quoting. 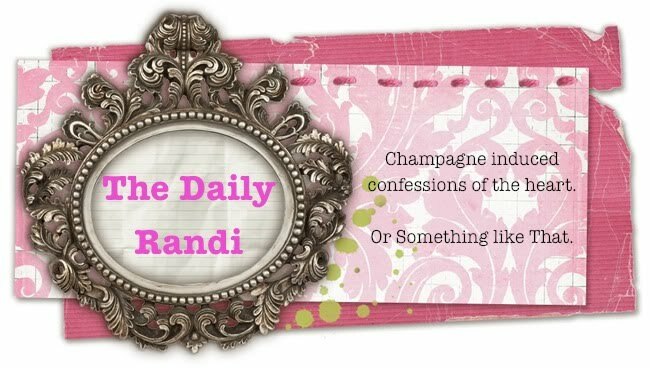 My question is this, The Daily Randi: How else am I supposed to learn How To Wow Him In Bed or If Mary-Kate Is Cured Of Her Anorexia/Cocaine Addiction or Which Blender Has The Best Warranty, without Reading Magazines? According to Vanity Fair, Magazines are the New Books. Everyone is Doing It, even Paris Hilton. She is Just Like Us and stops at Newsstands to Buy Them. My advice is to tell all those Naysayers that they are Just Jealous that they don't know What Vogue Says Is The New Hue For Autumn, Where To Locate His Secret Erogenous Zones, and Who Is Running For President Of The United States.